I don’t know about you, but I LOVED Oreos as a child. Last year, I came across an Oreo cheesecake recipe from Handle The Heat that elevated this childhood favorite of mine into a DECADENT adult treat. The combination of Oreo and cream cheese is PERFECT. 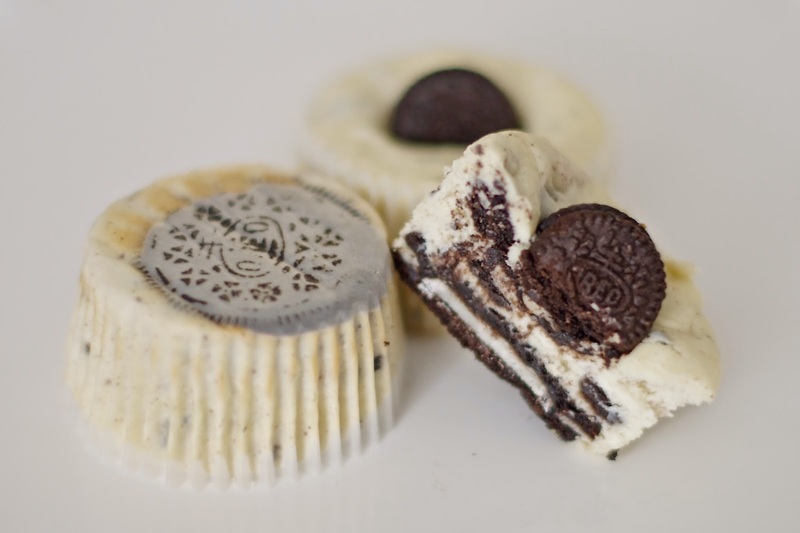 I love the texture of the crushed Oreo bits with the creamy, sweet cream cheese. The surprise Oreo cookie on the bottom adds the perfect crunch too. 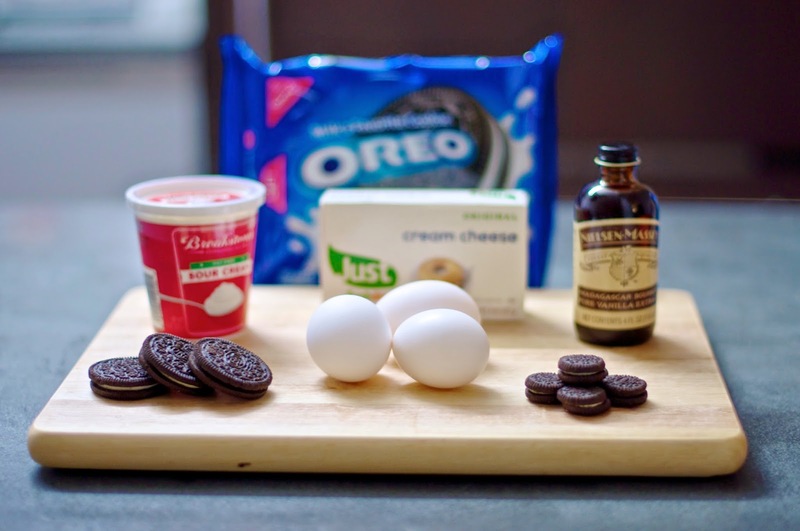 Trust me, even you don’t like Oreos or cheesecake, you will LOVE this recipe. 275°F is the correct temperature. You want to bake these in a cooler oven to avoid having overbaked or cracked cupcakes. Allow eggs, cream cheese and sour cream to come to room temperature before baking. Use paper liners. They make baking and cleanup much easier. It’s best to chill the cupcakes overnight. Since these cupcakes are made with cream cheese, they need to be stored in the refrigerator (and not just an airtight container). 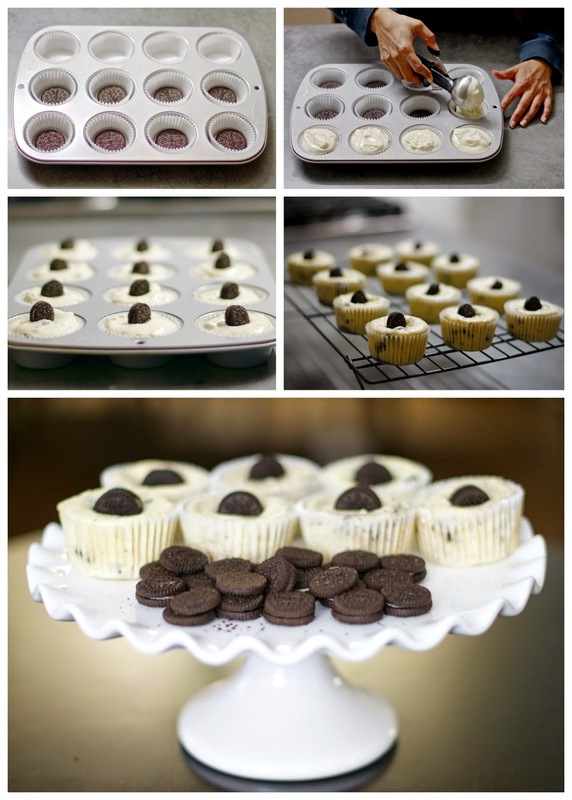 These cupcakes tend to sink in the middle so I added a mini Oreo as decor, which made them look prettier. Refrigerate at least 4 hours, or overnight, before serving Check out Oreo’s Play With Oreo campaign. 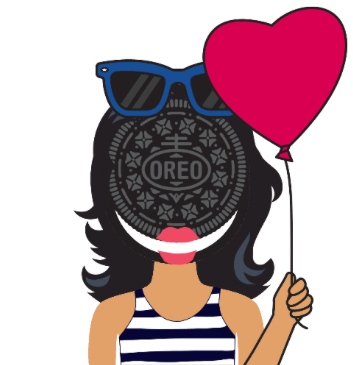 Kanchana had lots of fun creating her Oreo character. You can create yours here. Previous Post A Holy Communion! Next Post Eat, Drink and Be Scary!